How To Report A Broken Feature On Facebook? 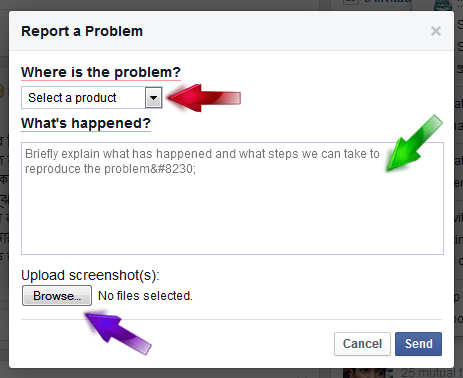 Home > Tips and Tricks > How To Report A Broken Feature On Facebook? Lots of features are running and huge contents are sharing on Facebook every minute such as status updates, photos, links and so on. Facebook users need to click the links to view the shared contents that posted by their friends. Sometimes these links shows an error page and says that the link is broken or something is not working properly. This happens for various reasons such as, deleting the contents, occasionally timing results or for any unconscious technical reason. 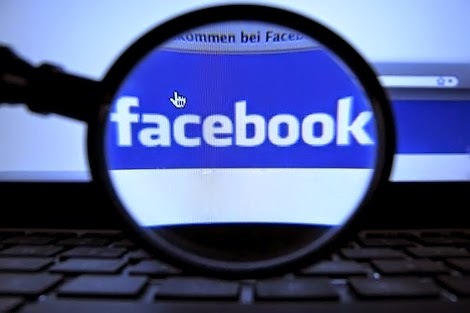 Whatever the reason is, if you wish to help and let Facebook know to remove or fix any problem that is not working properly then Facebook Help Center always welcome you warmly. 2. Click the drop down option from top right corner. 3. Select "Report a problem." 4. Click "Something Isn't Working" link. 5. Now select the service/ product where you faced the problem from “Where is the problem” menu. 6. Second, write a short description about your problem in “What’s Happened?” box. 7. If you wish you can upload a screenshot of your problem page in jpeg or png format. 8. 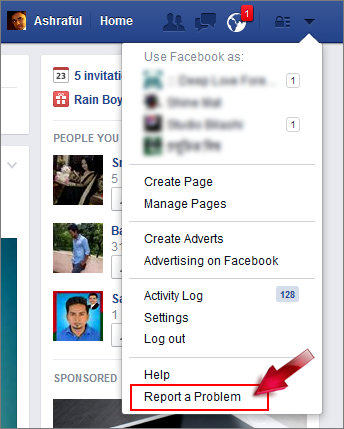 Finally click Send button to let Facebook know about your problem. READ THIS TOO: How To Copy/ Rip An Audio CD In Windows? Note: After successfully submitted your report a Thank you message will be appear and note that they will not reply or contact with you individually. Understanding tactics! The right fit resource along awesome knowledge which difficult to find easily.